I think there’s much to learn from this clip and the approach of Pele. 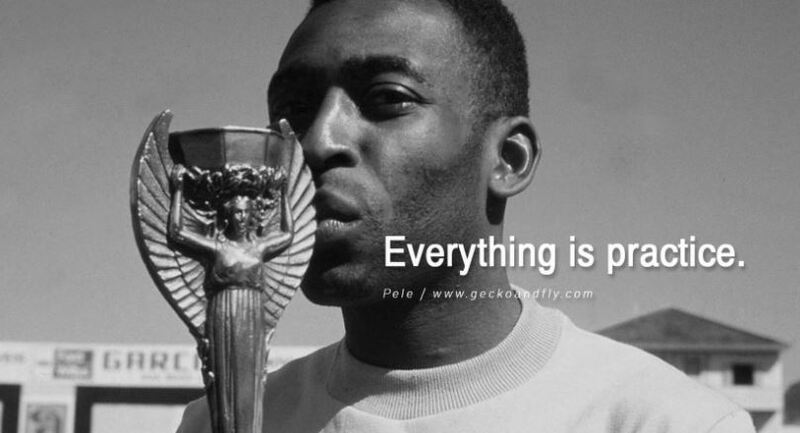 If you knew very little about football, hadn’t heard of Pele and just saw this – you might think Pele was a pretty poor footballer for missing the goal. 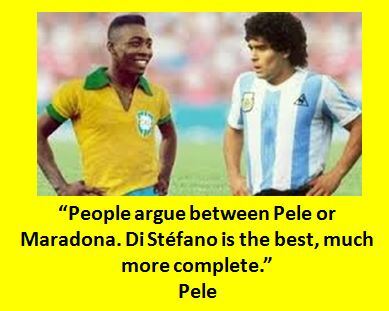 However, Brazil went on to win this game, and then beat Italy in the final – with Pele being key to this. Although he missed the goal, the dummy beforehand was a moment of brilliance. 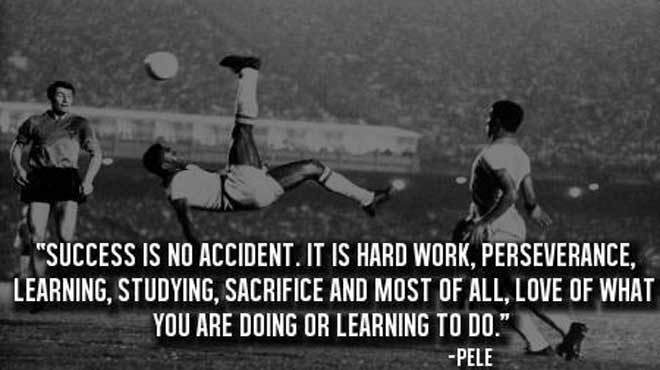 Pele scored 1283 goals in his career. He was a remarkable player. In the same way as making a judgement about Pele as a football player, based on this miss, would be a nonsense, so is making a judgement about a teacher based on one short lesson observation. Instead we should look at everything they do as a teacher and most importantly, how the students they teach achieve, over a number of years. This is what we should be judged on. If you are still grading lesson observations, make 2015 the year you stop. We can all get better at what we do – but it won’t happen by chance. We need to decide what we need to improve, practice it and stick with it. So for example, I want to improve the written feedback I give to students, by developing ‘live marking’ in my practice e.g. in lessons, writing feedback as questions in the books of students, for them to respond to. This is a change in my practice, so I know that I will need to focus myself on doing this and sticking with it. At times I’ll get it wrong, and this is fine. I’ll reflect on why and learn from it. It will take deliberate practice to get it embedded effectively into my day to day practice. This is important for CPD – encourage teachers to focus on one aspect of their practice that they want to improve and focus on improving this through deliberate practice. Don’t try to focus on too many things – avoid cluttering! As we move into a new year, we will continue with our ‘Growth Mindset’ journey as a school. This doesn’t mean that we can all be amazing at everything, but what it does mean is that if we all ‘encourage our colleagues and give them the confidence to go forward’ we can all get that little bit better at what we do. That’s what growth mindset means to me. This entry was posted in General Teaching and tagged growth mindset. Bookmark the permalink. At the end of the day you get out what you put in, and even then there is no guarantee of success, but at least you know you’ve put a shift in.